At VSC Car Servicing, we provide car air conditioning service, re-gassing and repairs in Hounslow, at competitive prices for our customers. We’re a Bosch car garage providing an air conditioning service like no other garage in Hounslow. Book online today for an affordable air con clean, repair and service. Losing gas from your car air conditioning? The use of air conditioning can benefit us greatly during the summer months, helping us to stay cool and refreshed whilst behind the wheel. Yet, during the winter months when the system is not being used, air-con gas can leak from the pipe joints, losing up to 10% of gas every year. Manufacturers recommend that you recharge your car air conditioning with gas and lubricant every two years, as the escaping gas can reduce the efficiency of the system, which can reduce the overall performance and cost more in fuel. In most car repair garages recharging the air conditioning service is not routine when servicing your vehicle, therefore you will need to book your vehicle in for a separate service to renew the air conditioning system, particularly if your vehicle is more than two years old. At VSC Car Servicing, we provide a service for BMW’s, Audi’s, Mercedes, VW and many more makes and models for your air con. Choosing to put-off recharging your air conditioning can put a strain on your engine as the system will have to work harder to function and can result in the use of more fuel, costing you more money. Here at VSC Car Servicing, we can carry out an air conditioning recharge service at competitive prices for our customers. With the latest Bosch technology, we can de-bug the air conditioning system, clearing any bacteria that has built up and helping to remove any odours which may surface when the system is running. We can also help with fixing those stubborn systems that are refusing to work, as well as air conditioning systems that are leaking by carrying out a leak test and fault diagnosis. Conduct leak checks, including full visual inspection and checks to see if there is a temperature decrease. 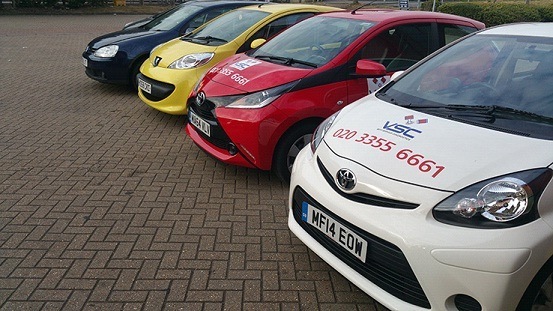 At VSC Car Servicing in Hounslow, we also can carry out an anti-bacterial clean of your air con which will remove bacteria that can store within the air-con system and be released through the vents into the vehicle. This service is suggested if you find that your air- conditioning releases a poignant odour into the car. If you are unsure about your car air conditioning, or are worried about its performance, book online with VSC Car Servicing, or contact us for advice. To book your vehicle in for a car air conditioning service, use our online booking tool, available 24/7.